Elevating John Bolton to national security advisor suggests that Trump is preparing for the very wars he promised to avoid. Last Thursday, President Trump moved one step closer to completing his preferred cabinet. General H. R. McMaster, whom Trump called boring, was replaced as national security advisor by ultra-hawk John Bolton. This is the same John Bolton who wrote the forward for Pamela Geller’s hate-filled book about President Obama, called on Israel to nuke Iran, urged the United States to bomb Iran and North Korea, abused a female US Agency for International Development (USAID) employee, advocated on behalf of the National Rife Association for more gun rights for Russian citizens, and still defends the Iraq war. I could go on. Trump’s other appointments have similar attributes. Mike Pompeo, set to take over in Foggy Bottom, compared Iran to the Islamic State and called it a “thuggish police state” that is “intent [on] destroying America.” Gina Haspel, set to take over the CIA, has a history of torturing detainees under the Bush administration. She even destroyed the recordings taken of the torture years later. Meanwhile, John Kelly remains in a precarious position as chief of staff. This team constitutes a gang of evil. The anti-diplomacy, pro-torture, pro-war initiatives they have supported have cost lives and created instability in the Middle East to the detriment of US national security and international standing. Additionally, Bolton and Pompeo have ties to hate groups that promote division at home (no wonder Trump likes them). Also, some of the initial appointments belong to the same gang, including United Nations ambassador Nikki Haley and Michael D’Andrea, the head of the CIA’s Iran operations. Trump is slated to meet directly with Kim Jong-Un by this coming May. The changes in Trump’s cabinet have put a damper on the preparations as the deadline approaches. However, the changes are no accident. Trump has used bellicose language towards North Korea from early on in his presidency. By having a like-minded secretary of state and national security advisor in place, he is sending a deliberate signal to Kim Jong-Un. If Trump is going to play lead diplomat, he still has threatening cabinet members in place as a counterforce. But with such a high-level start to the talks, as many analysts have repeated, there’s little room for diplomatic recourse should the Trump-Kim discussions fail. Bolton would be the ideal person to game the next move in such a situation and show an aggressive posture. That some in the president’s own party don’t seem to care about the consequences of war or even the consequences of a limited strike does not bode well should the talks fail (or fail to happen). The recent hiring of Bolton sends a major signal to Iran’s leadership that the United States is doubling down on its aggressive posture. Again, this is by design. Trump wants either to provoke Iran to withdraw from the deal first — thus shifting blame away from Washington — or to add sanctions in May in direct violation of the deal and thereby killing it. 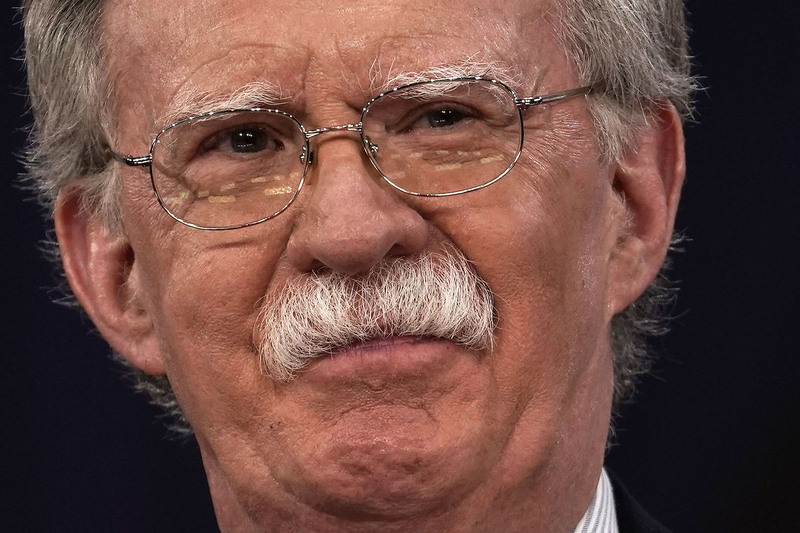 Either way, Bolton’s presence increases the chance of a conflict that already has concerned US allies. Everything points toward November. The president and the Republican Party know that they are likely to suffer a “blue wave” on election night. This is the third date likely inspiring Trump’s recent moves. The president is a showman at heart. He is more timing and appearance than substance. Trump is likely to ratchet up tensions with Iran and North Korea in reaction to, or in prevention of, a blue wave. Of course, Trump would need the unlikely approval of Congress for any major intervention, but the intervention does not have to be on a regular armed conflict. It could also be in the cyber realm. Or it could be clandestine, which requires less congressional oversight.